Destrie Monis has always dreamed of being able to earn money from home using the internet and now it looks like he's doing exactly that! This community. People have wins and the first thing they think of is to encourage others to have wins as well! Great job Destrie! Much more coming your way soon. 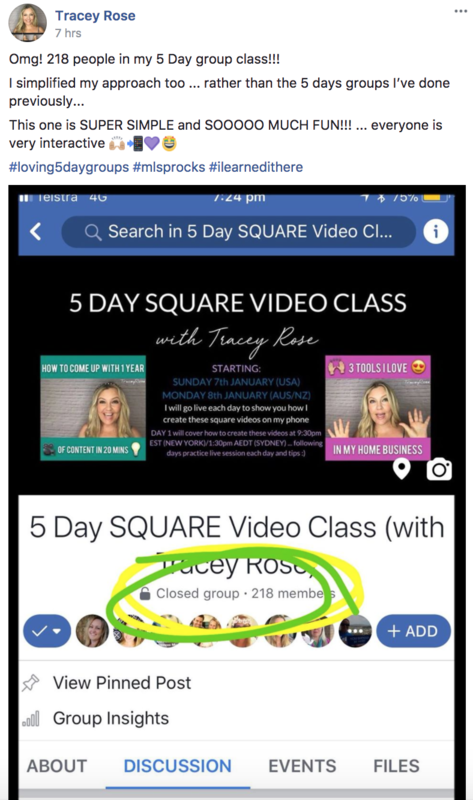 Lisa Thompson apparently has been following the trainings here at MLSP for both Facebook Challenges, and the most recent Weekly Marketing Webinar on Facebook engagement ads! And look at what happens when you take action and put a couple of these things together. Big results!! Just think of how many people this wonderful lady is helping (possibly saving) with her Diabetes challenge! 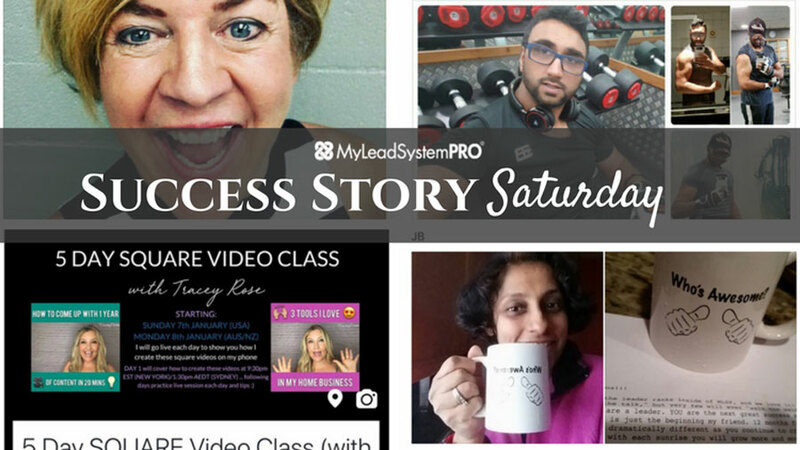 And then she comes to the MLSP online community to share her results, and let you know exactly how she’s getting them. The great thing is that Lisa's got tons of trainings in the back-office of MLSP where she gives away all her secrets. Lisa is another great example of a mentor in our community always willing to help others succeed! 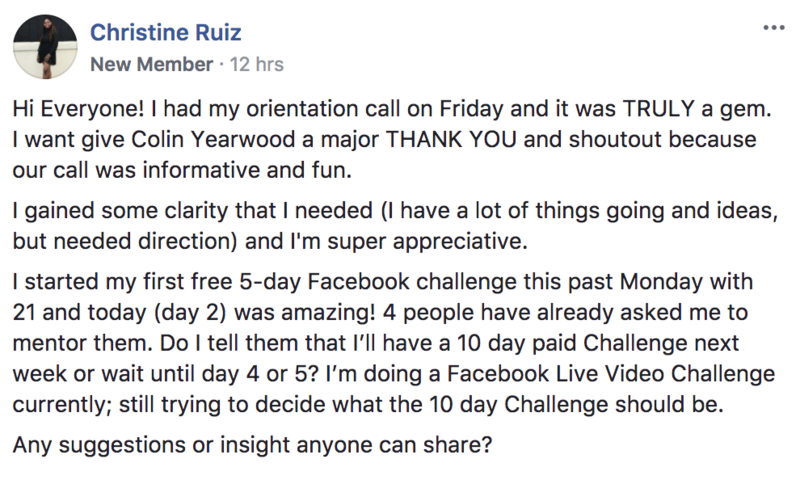 Russell Peden has been putting in the work and now he's on the tail end of his first Facebook Challenge. Beata Artur Coral is killing it on Twitter. She posted inside the group to let Todd & Leah Getts know that they're amazing Twitter training is working! Action = Results and that's what's happening for Beata every single day with 137 NEW daily followers. Danny Reardon has good reason to be tootin' away today. This dude hit the #1 spot on the MLSP Leaderboards for Total MLSP Active points in the last 30 days! Boom! Linda Bomba raked in 251 Leads in 2 Days! She's killing it as usual. If you want to see hard work and dedication, this woman is the epitome. And even more impressive is her willingness to always help inside the MLSP community. She Just Set Up Her First Funnelizer Funnel! 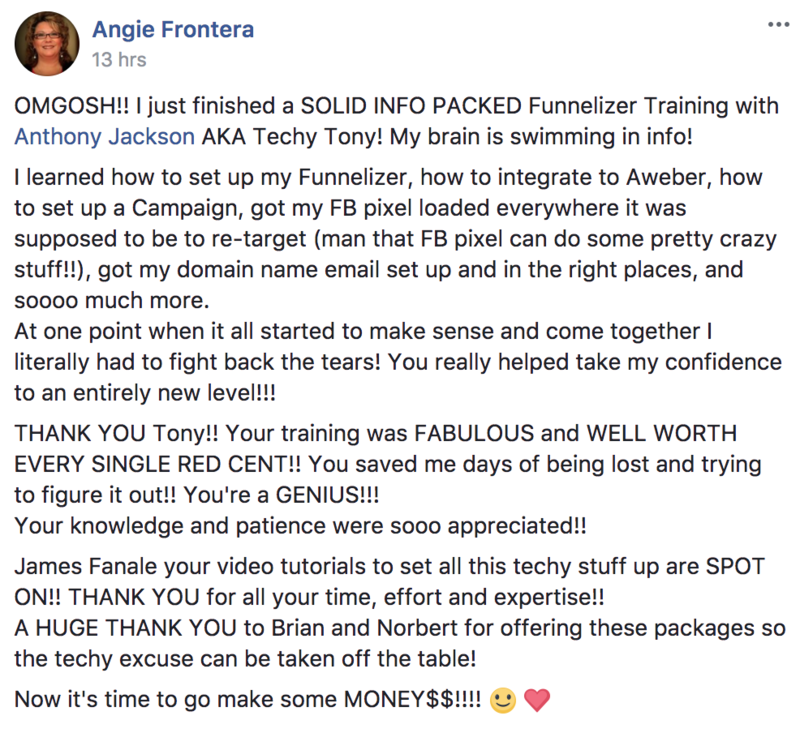 Angie Frontera just took a huge step in her business! And Techy Tony was there to help her out! Tony's eliminating the techie excuses one by one! Camille Tyler took advantage of Techy Tony's training and immediately started getting results with Funnelizer! And then to top it off, Tony gave her a big ole’ shoutout inside the community! Need techy help for YOUR biz? Go hang out with Tony every Tuesday and bring your most pressing problems. He's got your back! Click Here to Register for the Next One! Tracey Rose has simplified her approach and it's paying off big time. You can always count on her to bring inspiration to the communityand show you how you can do things that you may not have thought possible. He's following an Instagram marketing strategy that's going to have him generating 24/7 leads… all from his smartphone! That's what a home biz is all about! Way to take action Jeff! Keep going!! Anna Tossel is a new member of MLSP and she's already smashing it. You'll want to read her full success story post below, because it hasn't been easy. She came a long way, has changed her life, and now things are happening for her! Huge welcome and congratulations to this brand new member and Anna! Jean-Christopher Louis has fallen in love with our community. It's very hard not to. It sounds like he's on his way, and taking action as well! What’s B.E.S. It’s a critical piece of the type of attraction marketing formula that MLSP teaches! There ya go! This dude is on his way! Check Out All the Amazing Success Stories from the Past Week Below! Do yourself a huge favor and read through the success story screenshots below. Our community leaves many clues when they post these and this week was no different! And then…go out there and create YOUR success story!! 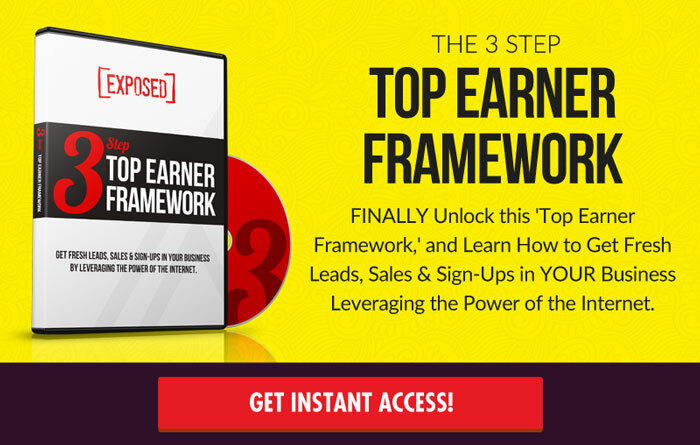 Webinar Marketing: The 5 Step Formula to Quickly Skyrocket Your Sign-Ups, Sales, and Income!